Even as electoral politics rage around us, the heads of organizations participating in our Two-State Coalition convened to speak with the Head of Hatnuah party, MK Tzipi Livni, about promoting our joint vision. The Two-State Coalition project, under the direction of the Palestinian and Israeli branches of the Geneva Initiative, is a unique initiative that encourages cooperation between all of the different actors who are fighting for a permanent border between Israelis and Palestinians by means of a political agreement. "Bring a bucket of water and throw it on the fire, and if you don’t have a bucket, bring a glass, and if you don’t have a glass, use a teaspoon, everyone has a teaspoon. And yes, I know a teaspoon is little and the fire is huge but there are millions of us and each one of us has a teaspoon." - Amos Oz, "How to Cure a Fanatic"
The Geneva Initiative mourns the passing of one its founders and leaders, celebrated author Amos Oz. What is UN Security Council Resolution 2334? How does the international community differentiate between Israel and the territories acquired after 1967? What does differentiation mean for Israel's future diplomatic and economic relations with the world? The latest edition of the Two-State Index answers these questions and more. Click here to read the special edition. Visit the Index website here. "US, Israeli, Palestinian leaders more hawkish than their peoples"
Yossi Beilin points out the significant gaps between political leadership and popular opinion among Israelis, Palestinians, and Americans on Al-Monitor. What do Iran, Germany, Saudi Arabia, the UK, and Lebanon all have in common? It turns out that they all support the Geneva Initiative. For more information, see UN press coverage here and the voting record for the resolution here. Israel and Hamas found themselves on the verge of war before restoring a fragile ceasefire. The Gaza escalation unleashed a political crisis in Israel. Israel unleashed unprecedented moves targeting East Jerusalem. In the US midterm elections, Democrats take control of the House, moving towards new positions on Israel/Palestine. These trends raised the Two-State Index by 1.9%. For more information, click here. The TSI is a monthly assessment of the road to the two state solution. Check out the TSI website and subscribe to the newsletter here. Jerusalem is often cited as one of the outstanding “intractable” issues that make the Palestinian-Israeli conflict so difficult to solve. Last Friday, 23.11, conflict expert and Geneva Initiative member Shaul Arieli led us on a tour in and around Jerusalem, explaining the various ways in which the Geneva Initiative has already offered concrete, practical solutions for the future status of this complicated city. These solutions have been formulated by Palestinian and Israeli experts (including Dr. Arieli himself) working together, determined to use the city that both sides value so highly as the key to a better future, instead of as an excuse for interminable violence. The tour focused on the influence of security considerations, holy places, and demographics upon the role of Jerusalem in the conflict. Dr. Arieli brought a wealth of knowledge to the issues, walking participants through complex border negotiations and explaining the different cultural and historical understandings that Palestinians and Israelis have of the city that will hopefully become the capital of two states. The tour began in the rain and ended under clear skies on a lookout above the Old City. We hope the participants similarly came away with new clarity and hope. Many thanks to our partner, the Konrad Adenauer Stiftung Foundation, for making this tour possible. A day we don’t do something to promote peace is a wasted day. We were excited to host speakers from Northern Ireland who came with an important reminder: Conflicts can be resolved. Or in the words of Mr Peter Robinson, former First Minister of Northern Ireland: "There is no conflict that cannot be resolved. I'm here to say that the impossible is possible. So please, do not despair!" In April 2018, the Geneva Initiative launched the Two State Coalition project – a program aimed at institutionalizing and consolidating the efforts of the Israeli and Palestinian peace organizations. The coalition works to encourage and support the Israeli and Palestinian peace camps by establishing a strong, inclusive and action-oriented coalition of civil society organizations acting in support of the Two-State Solution. In the months since the project’s start, we worked to recruit organizations to the coalition, conduct initial introductory meetings and draw strategic work plans for the first year of the program. In October, representatives of the member organizations of both the Palestinian and Israeli coalitions met for an intensive two-day workshop, aimed at analyzing and understanding the current political landscape and identifying possible messages and strategies that can influence the situation. 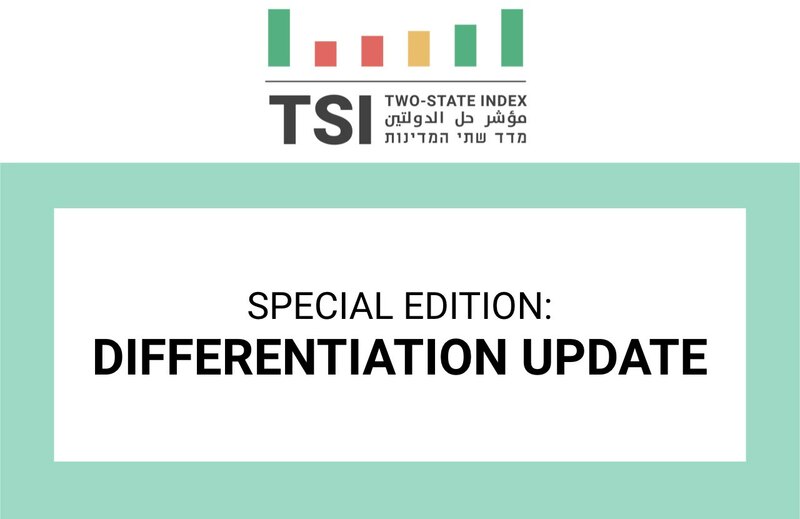 The TSI is a monthly assessment of the road to the two state solution. Examining more than 50 different parameters, it organizes and systematizes the latest developments and determines whether they create progress toward or regress away from two states. Ultimately, the TSI produces a coherent assessment of the plight of the two-state option. Check out the TSI web site and subscribe to the newsletter here. It's impossible to seriously and effectively promote the two-state solution while ignoring the issue of Gaza. In October, with our partners in the Israeli peace camp, we held a thorough and honest discussion with the Untied Nations Special Coordinator to the Middle East Peace Process, Mr. Nikolay Mladenov, and former Palestinian minister and Gaza resident, Mr. Hisham Abdel-Razak, attended by Members of Knesset, civil society activists and public-opinion shapers. The dilemmas are far from simple, but our voice, as the Israeli peace camp, must be heard - about how to address Gaza, how to address the West Bank and mainly about the connection between both. In the past few months, the Trump administration is attempting to redesign the Israeli-Palestinian landscape. After recognizing Jerusalem as the capital of Israel and relocating the American embassy there, the administration is targeting a second core issue: Palestinian refugees. As a first step toward ultimately dismantling UNRWA — the U.N. body tasked with providing humanitarian assistance to Palestine refugees — the United States has recently stopped its support of this agency. In addition, the United States is attempting to change the longstanding definition of Palestine refugees adopted by the international community and as a result drastically reduce their numbers.